This beautiful 18th century cottage with a private hot tub on the bank of the beautiful river Isla lies at the heart of an ancient Highland estate in Glenisla on the edge of the Cairngorm National Park - an utterly peaceful location yet five minutes from excellent pub food, only 90 minutes from Edinburgh and 35 minutes from terrific gourmet food, cashmere and kilt shopping. The surrounding hills rise to 2500 feet and there are so many wild flowers that part of the glen is a wildflower reserve. 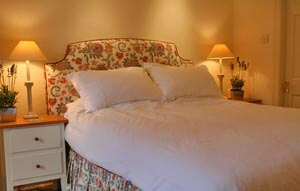 The house has been recently refurbished to offer great comfort. 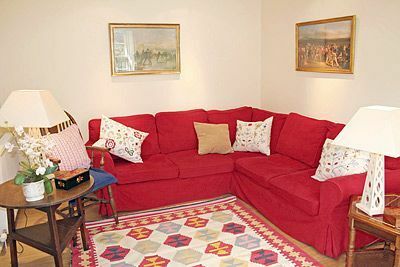 Brewlands Cottage sleeps 2 - 6 guests (discounts for 2 guests), and the layout of the cottage with an ensuite double bedroom downstairs makes it very cosy when rented by a couple, and ideal for honeymoons. It is also perfect for the infirm. With its water from an ancient spring, the hot tub and a masseuse and cook available, this is a wonderful place for a relaxing get-away, yet its central location means that it is also ideal for exploring Scotland. 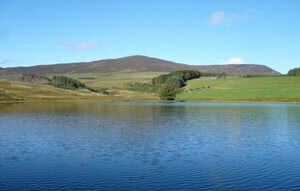 Full of history and legend, Glenisla has something to offer everyone throughout the year. There are not only numerous activities and places to see both on and off the estate but because we try to do everything to make your holiday a happy one, we provide a full concierge service. Close to the Queen's and Queen Mother's Balmoral and Glamis Castles and on the edge of the Cairngorm National Park, there is outstanding wildlife viewing, skiing, fishing, clay pigeon and other shooting. Other sporting activities include skiing, pony trekking, wild swimming, adventure centres, on and off road cycling and riding (mountain bikes can be hired from the estate) along with whisky distillery tours and artisan food producers. Championship golf courses such as St Andrews and Gleneagles (home of the 2014 Ryder Cup) are within easy reach and there are 4 golf courses within 14 miles. Let us fill your teenagers' days with activities while you stroll 100 metres to one of Queen Victoria's favourite picnic spots or lie in the hot tub watching the river and its wildlife, while we make you afternoon tea with hot cheese scones and a large chocolate cake. There are many extras available on the estate, including hire of a piper and catering to any level by the estate's chef (including freezer cooking) and tennis lessons from a Wimbledon junior finalist. Alternatively, there is excellent pub food 5 minutes away and lots of good restaurants in the area, up to Michelin 2 star. There are beautiful walks from the door to for example the Fairy Glen, along the woodland paths up to the rugged heathery mountains which have spectacular panoramic views (shared with hundreds of deer and, in spring and early summer, the liquid calls of the curlews). Why not ask the house chef to provide supper for your arrival, complete with champagne and chocolates? We can also do your shopping, babysit your children, collect you from the airport, arrange, or book tee times, including The Old Course at St Andrews and do your laundry. In winter, we can measure you for skis, bring them to your door and supply you with lessons or a ski guide at the ski slopes at Glenshee, 35 minutes' drive away. We can even arrange a massage afterwards in front of the fire ... in short, with a full concierge service, we can hopefully ensure that your holiday with us is a truly happy one! 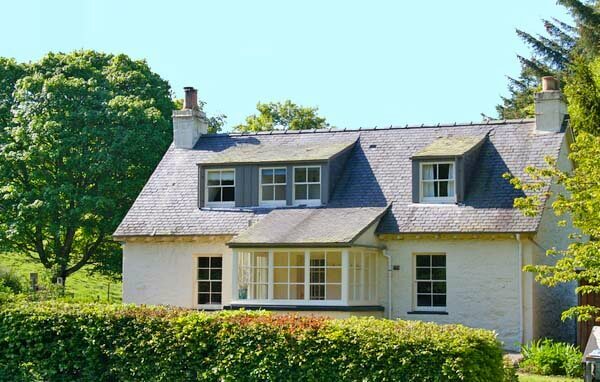 Excellent accommodation, comprising a tartan dining room and fully equipped Poggenpohl kitchen with views towards the Queen's estate at Balmoral from two windows, and from the other, a view of the River Isla, which flows 5 metres away beyond the garden fence. Sunny 17th century sitting room with enormous original fireplace and original shutters in working order, with views south across the garden to the river, and to two huge copper beech trees, and west to the surrounding hills. Romantic king-sized bedroom (with ensuite bathroom with over bath shower and two heated towel rails) with working shutters and original cast iron fireplace. Views to the river from the bed. South facing sun porch. 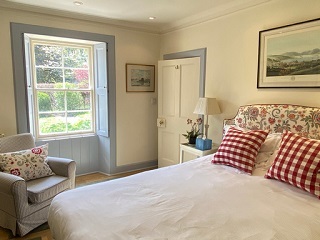 Upstairs comprises two sunny south facing twin bedrooms overlooking the garden and a bathroom with a titanic-sized newly renovated 19th-century bath tub. Floor to ceiling heated towel rails. A sitting out/games area is also on the first floor. 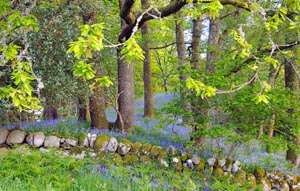 Outside there is a flower garden surrounded by an ancient stone wall and a beech hedge. Large lawn ideal for games. The entire garden (half an acre) is enclosed safely for pets and children with a games room equipped with table tennis, table football, etc. There is a sheltered seating area with table and chairs and a barbeque. Parking for 2 cars. 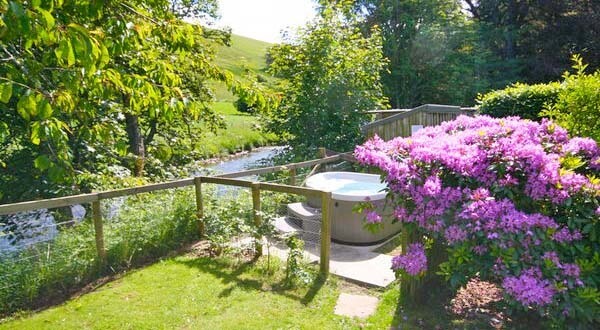 Totally secluded private hot tub beside the river. Pitlochry Station - 35 minutes, Perth Station - 50 minutes - both stations have connections, including sleepers, to the rest of the UK. We can arrange for you to be met at stations and airports. Bed linen and towels provided. Basket of logs on arrival, thereafter available at cost. Electric blankets. To cut down on your shopping we provide bathrobes, soap, tea towels, oven gloves, cling film, apron, foil, bin bags, loo rolls, washing up liquid and essential cleaning materials and other helpful touches to start your holiday off. Oil central heating by meter and electricity by meter. Rental periods are usually Saturday to Saturday; arrival 4 pm and departure at 10 am. Short breaks welcome. Discounts for couples. 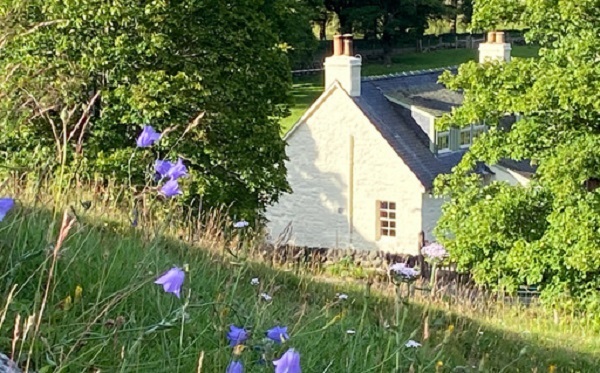 To book a holiday in this luxury self-catering cottage in Perthshire, click the button below to view prices and check availability. 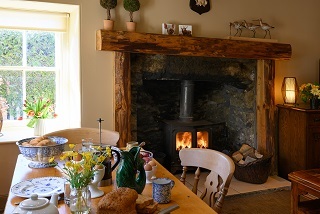 This is a fabulous Perthshire self-catering cottage and has so many incredible extras that holiday-makers are very spoilt! 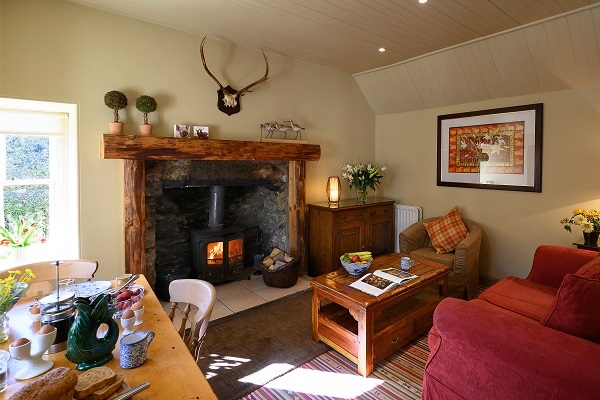 Staying in a five star cottage with a hot tub in this gorgeous part of the country gives you a chance to enjoy the finest hospitality, scenery and attractions that Scotland has to offer.